I love Hanukkah! ever since I was a little child! Hanukkah Menorah design is the coolest challenge for Judaica artists and designers, each year dozens of innovative Menorah designs going to market, but, why we love Hanukkah so much? Well, to be honest, unlike other Jewish holidays – Hanukkah is a holiday of less preparation and more fun, no need to clean or cook, no restrictions, just eight nights of ongoing festival of lights, modern Judaica designers discovered the endless creative freedom in Menorah design. First night – the Menorah changes every night, each night we light one more candle, lets create a new Menorah design every night! 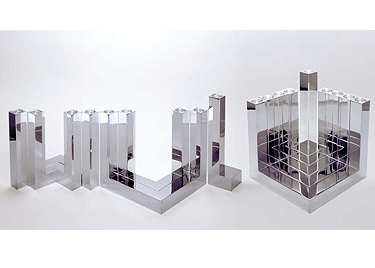 modern designers love modular design, so why not modular modern Judaica? Second Hanukkah evening – Hanukkah Menorah can be designed in any material, shape and color, as long as it has 8 lights and 1 Shamash. 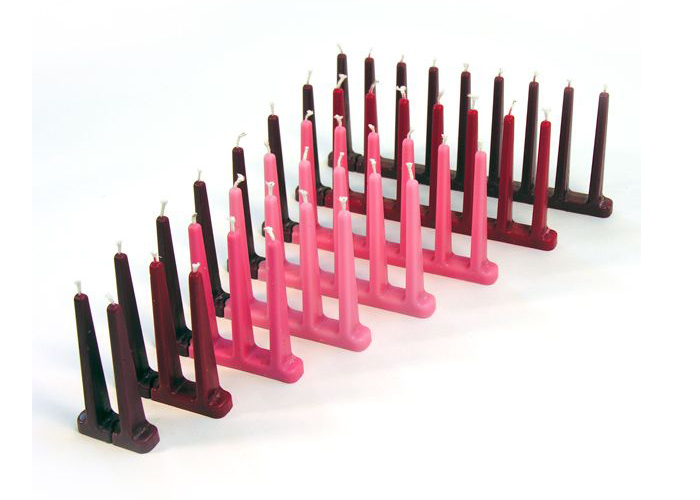 Us, Israeli designers, love inventions and improvisations, that’s why so many of our Israeli designer colleagues have their own design of Hanukkah Menorah. Looking for a gift from Israel? modern Menorah design is an original idea. Third candle – Hanukkah lasts 8 evenings! we have enough days to host and visit all our friends and family! (unlike other holiday nights and their complicated family businesses…) and show off our Menorah design collection. Forth Hanukkah eve. – Hanukkah is such a playful holiday, spinning tops and dreidels captures the hearts of kids, and kids in soul grownups, no wonder collectors love them too. Fifth Hanukkah gathering – celebrating Hanukkah fits any budget, light a Menorah created from recycled materials, or a disposable Menorah made of wax, everything goes! Sixth candle – Hanukkah Menorah is also the subject of high end art and craftsmanship, like this adorable ever changing Menorah, designed by one of our favorites – Yaakov Greenvurcell. 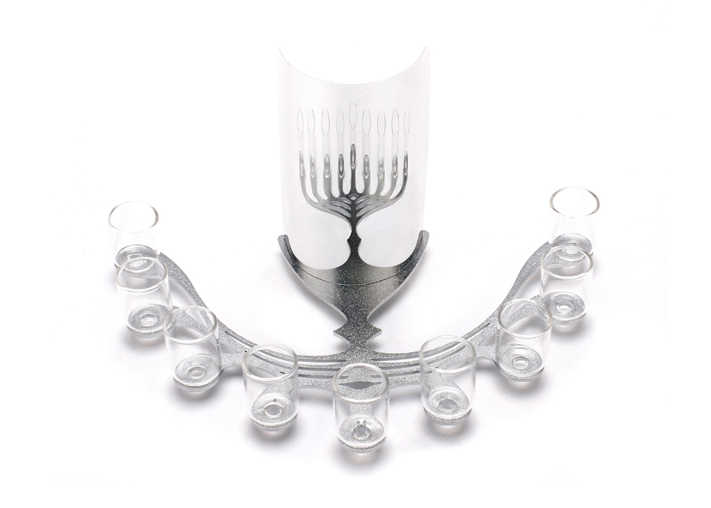 Seventh day – No doubt – the miracle of Hanukkah is beyond nature and science… yet, some Hanukkah Menorah designs do based on science principles, like Shachar Peleg’s fascinating Menorah with its optical illusion, and our connected vessels Menorah, awarded to Nobel laureate Prof. Ada Yonat, by the Knesset. Eighth, last but not least – Sufganiyot become prettier and lovely every year, Hanukkah is definitely a holiday of pure joy and beauty.